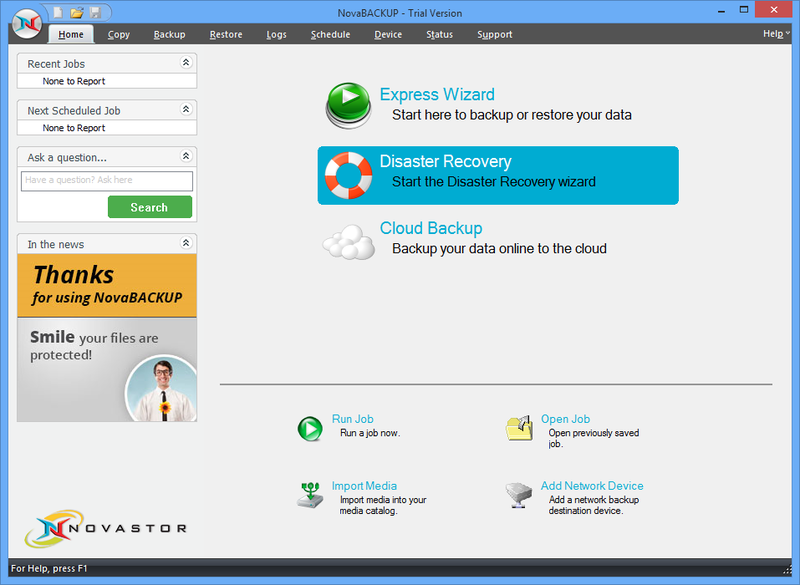 NovaBACKUP Professional is a powerful yet easy-to-use backup tool which comes packed with features and functionality. When creating a backup, for instance, the program allows you to protect your entire system drive, selected items, or particular file types (Documents, Pictures, Email or Music) with a click. Support for incremental and differential backups improves performance by saving only new or changed files. And a capable scheduler can then run your job automatically and unattended, whenever you like. If you're more concerned about disaster recovery then the program can alternatively create an image of your preferred drive. If Windows won't start at some later date then just launch NovaBACKUP's boot environment (which can be CD, DVD or flash-based), restore the latest image and your system will quickly be back in working order. Your data can of course be backed up locally or across your network. But there's also support for cloud services including Google Drive, Dropbox, OneDrive, iDriveSync, SkyDrive and SafeSync, as well as Amazon S3 accounts or an FTP server. What's new in NovaBackup 19.3 (see 'what's new' for more)? Helpful wizards and an intuitive interface mean NovaBACKUP is easy enough for the average PC user to operate, yet the program also has the depth of functionality that experts need.